Just one month after director Neill Blomkamp shared his illustrations for a new Alien movie he was unofficially working on, the filmmaker revealed today that this will actually be his next project. The director revealed last week that he had this Alien movie in his head, while working in post-production on Chappie, commissioning a number of concept art illustrations featuring Alien star Sigourney Weaver as Ripley and Aliens actor Michael Biehn as Hicks. While he admitted that 20th Century Fox never knew about the artwork and his ideas for the movie, he hinted in recent interviews that the movie may actually happen. Now it seems that is the case, according to his brief message on Instagram earlier today, along with another illustration. Variety reports that Neill Blomkamp’s Untitled Alien Sequel project is being developed separately from the 20th Century Fox sequel Prometheus 2, which Ridley Scott is directing. That report also reveals Neill Blomkamp has closed a deal with the studio for this project. 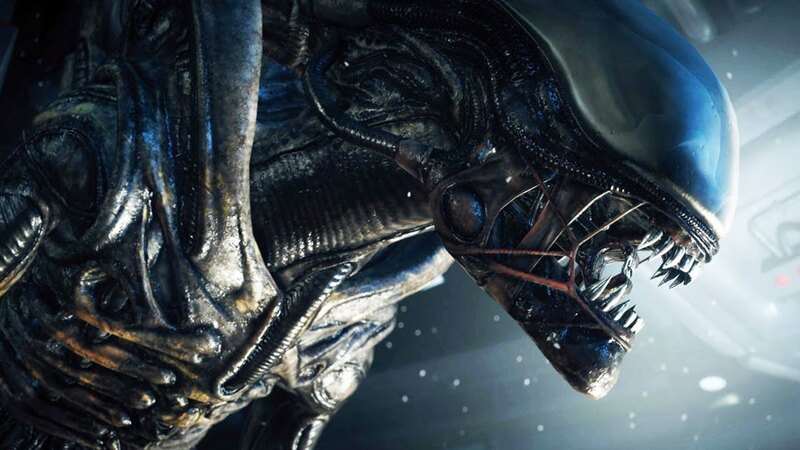 A separate report from Deadline reveals that Ridley Scott will also be producing this new Alien movie through his Scott Free Productions company, with this untitled Alien movie set after the events of Prometheus 2. In a separate interview last week, Sigourney Weaver, who worked with Neill Blomkamp on Chappie, said she would be interested in reprising her role as Ripley. The director said that part of what made him want to make this movie was becauseSigourney Weaver herself told him that she thought Ripley’s story was incomplete. Unfortunately, neither the director nor Sigourney Weaver would reveal any specific plot details, but perhaps we’ll learn more in the near future. While we wait for more details, you can take at Neill Blomkamp’s Instagram post below, where he announces the big news. Are you looking forward to seeing what Neill Blomkamp can do with the Alien franchise? Let us know what you think, and stay tuned for more on this highly-anticipated project. Neill Blomkamp’s Untitled Alien Sequel comes to theaters in 2017 and stars Sigourney Weaver. The film is directed by Neill Blomkamp. Alien was released May 25th, 1979 and stars Tom Skerritt, Sigourney Weaver, Veronica Cartwright, Harry Dean Stanton, John Hurt, Ian Holm, Yaphet Kotto, Bolaji Badejo. The film is directed by Ridley Scott.